Value Pack 6 1 medium Fridge to-go bag,1 personalised medium Go Green lunch box, 1 personalised 500ml Contigo Swish bottle, 1 spork and 1 nametag. 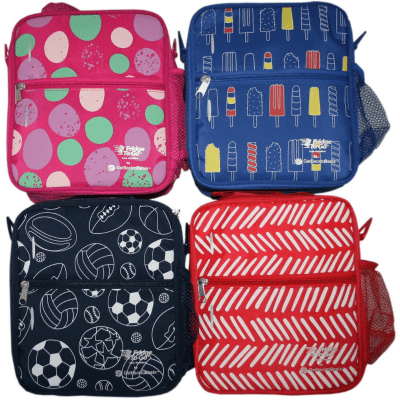 Mix and match the different designs/colours in the fridge to-go lunch bag, medium Go Green lunch boxes, 500ml Contigo Swish bottle, 1 spork and 1 nametag to make up Value Pack 6. The lunch box fits perfectly into the fridge to-go, but no spare room left. Value Pack 6 – everything you need for school or work. Please put in comments when you finalising your order what design Fridge to-go and medium Go Green Lunch box and what colour 500ml Contio Swish bottle, spork and nametag – and please check first under each product what design/colour we have available at the moment.